Dark fruits and cherries with real spicy notes characterise this remarkable Ch. 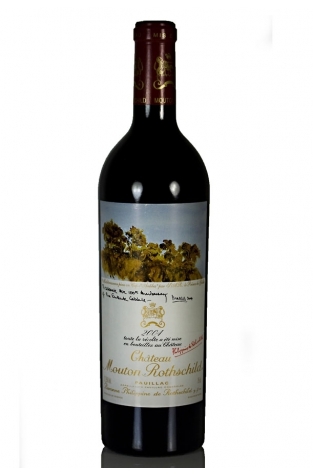 Mouton Rothschild vintage 2004. 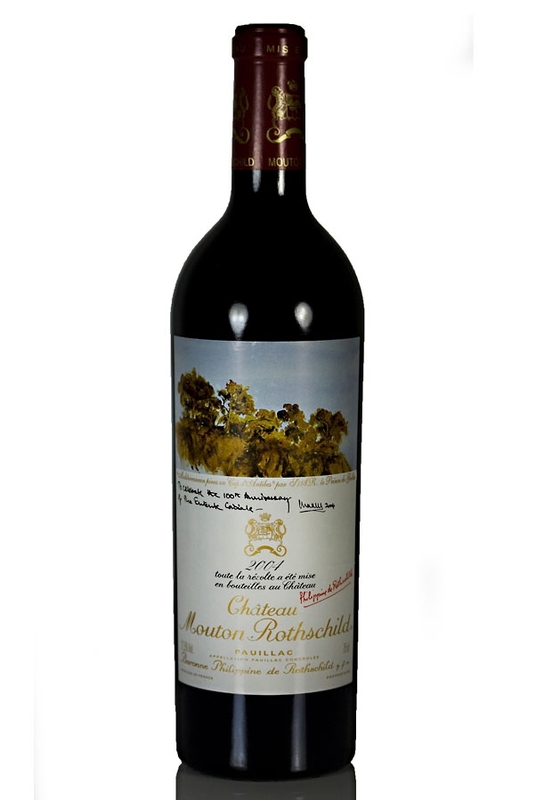 A beautifully textured and balanced fruity red with undeniable charm, this famous château has done very well with this vintage to produce another phenomenal and very approachable bottle. The tannins are nice and fine and the finish classically long. Robert Parker has called this an outstanding wine with hints of rich Christmas cake, cedar wood, toast and blackcurrants. Its palate boasts great purity of flavours sweet, velvet tannins. The evolutionary trajectory of this wine is somewhat faster than in many a year and it is for this reason that the plateau of perfection will be until around the year 2030, shorter than for many other vintages of this great wine producer. 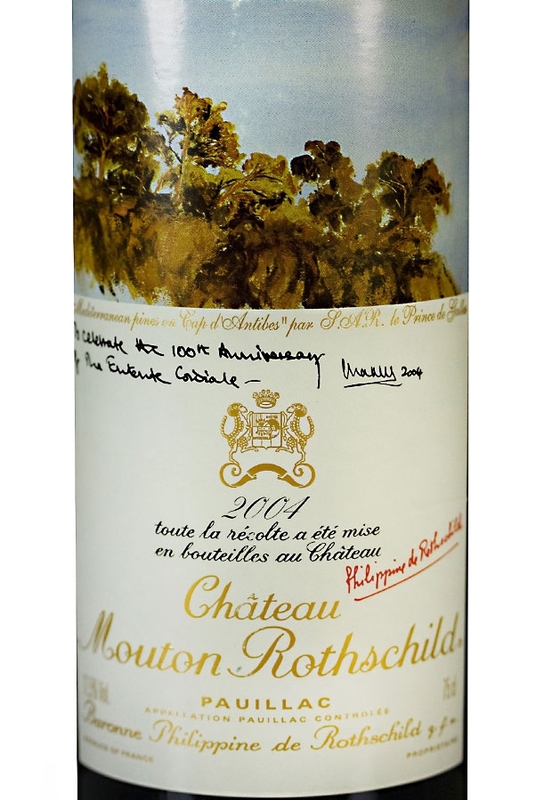 Château Mouton Rothschild is renowned for its labels which tend to be designed by well-known artists. This label is a slight exception and features a painting by none other than HRH Prince Charles.